Behind the Scenes – and Under the Main Floor – of Banting House! 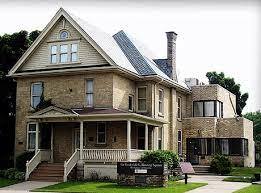 Working at Banting House, I have slowly been exploring the mysteries of the museum. Hidden staircases, closets, and rooms are just some of the places I have discovered! However, the most valuable treasures are right below the museum, in an area visitors walk over top of every day and often do not realize is there. While there are hundreds of items on display in the museum, there are countless others in the basement collections and archives. This week, I have spent a lot of time in the collections, learning about the items we have, how we receive them, and how we keep track of them. Many of our most important objects are exhibited in the house – however, with a limited amount of space, not all artifacts can be on display at the same time. Some of the artifacts are too fragile for display, but are still important to Banting’s life or the discovery of insulin. It is items like these that are kept in the collections in the basement of the house. Of course, with so many items to keep track of, some sort of organizational system is needed – this is where PastPerfect software comes in! This program, designed especially for museums, helps identify the objects themselves, as well as their history and significance. This week, I’ve been cataloging data from the collections into PastPerfect. While this may seem like a boring job, it’s actually incredibly interesting – getting to see the objects which Banting House receives, and the stories behind them, is exciting. Everything from photographs to old insulin vials add more stories to the museum and contributes to its character. The collection is constantly being added to and growing – I don’t know how our curator, Grant, keeps track of it all! The process of cataloging and archiving is one which most people don’t think about when they visit a museum – it is another one of the fun and unexpected things which makes museum work so interesting! Banting House is full of unexpected treasures! Previous Post Taking the Lead at Banting House!